The Mayfair king size bed is a luxury bedstead with a large reclined head board, offering ample padding for comfortable lazy mornings. 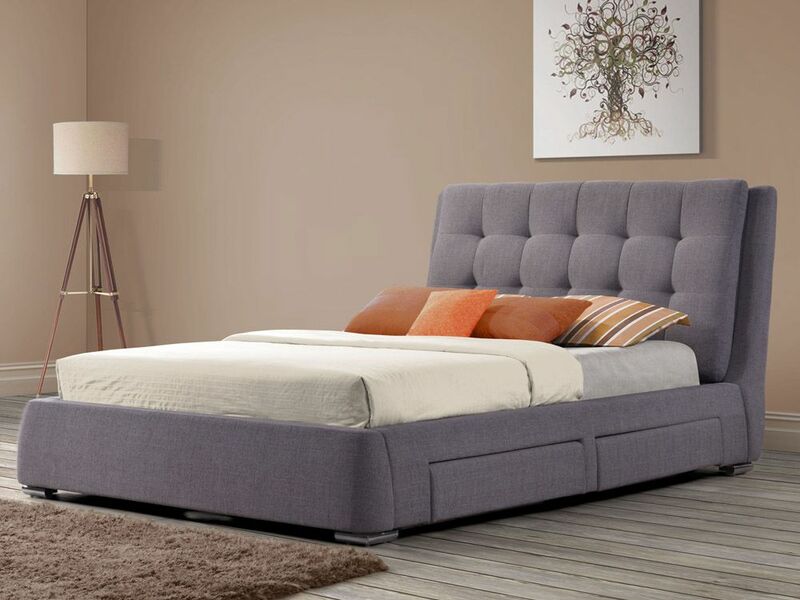 Upholstered in a grey upholstery, this soft looking bed is stylish as well as cosy. 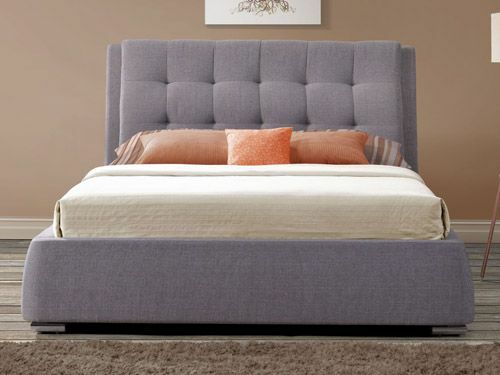 With ample padding all round, the design cleverly incorporates under-bed storage in a subtle manner. Colour co-ordinated square feet at each corner seal the design. With a low profile, this bed is perfect for giving a space-saving impression in your room, while still providing a luxuriously large sleeping area.